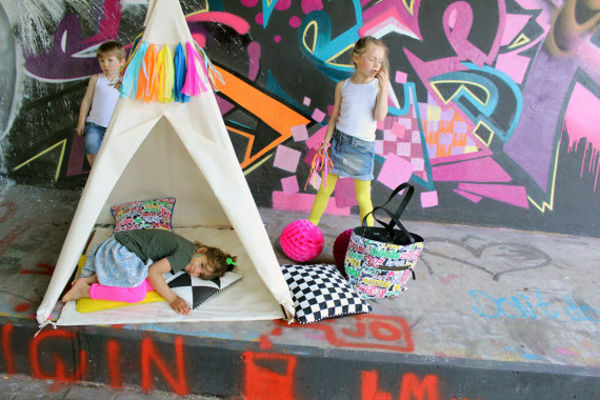 The fun that can be had indoors with a teepee is almost limitless. Read on to find out where you can get your hands on these beautiful creations, that are made in Amsterdam. 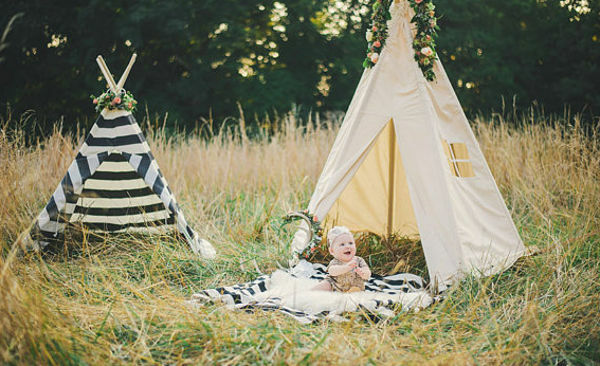 Indoor tents have certainly come a long way since our parents used to toss a blanket over the dining table. But we’re certainly not complaining! 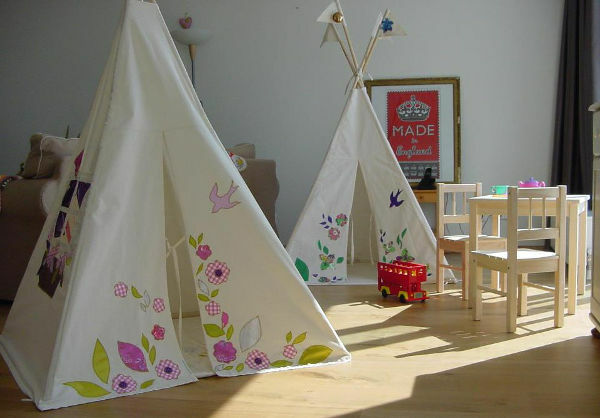 And these teepees double as a stunning piece of décor, as well as a hiding spot, reading corner and escape from the boredom of a rainy day. Moozle, a gorgeous, family business based in Amsterdam, has created quite a following in Australia. 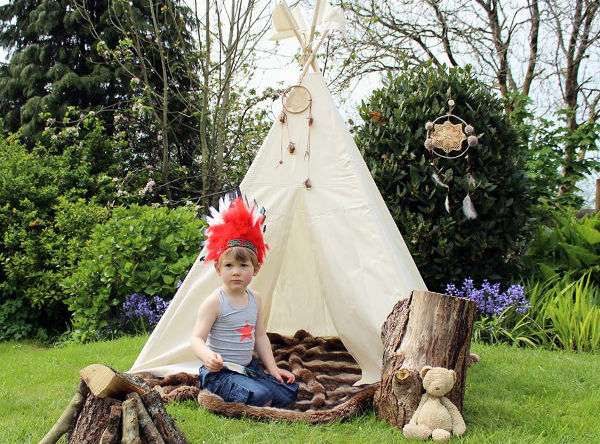 In fact, they’re shipping teepees to our shores at least once a week. So what’s all the fuss about? These gorgeous creations can be as understated or as bold as you like. They’re even able to be personalised. Moozle has also just released a new size – MIDI (£145), which is perfect for children over four. The regular size (£135) comes made in Moozle’s signature unbleached cotton cloth. There are also a heap of personalised options available from Moozle’s Etsy store, so take a virtual stroll through.